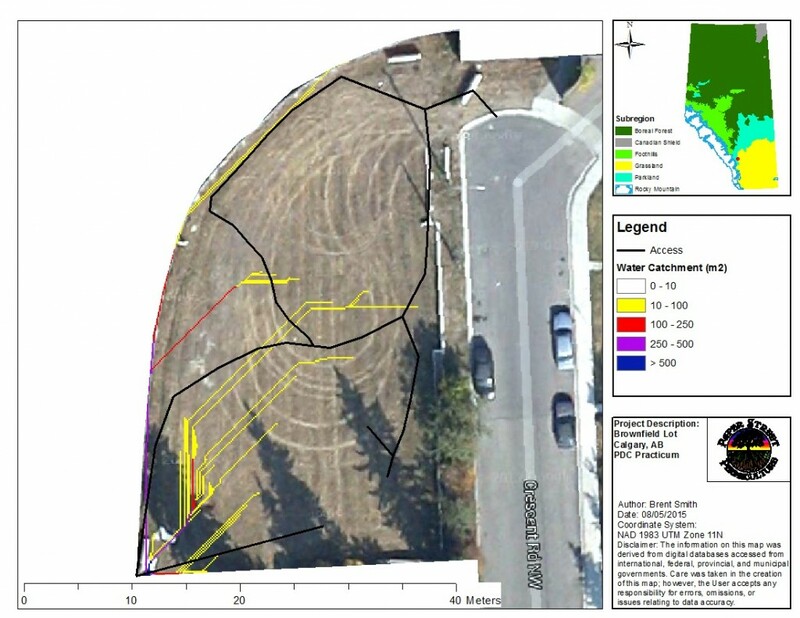 Geographic Information Systems (GIS) are extremely useful for both small-scale urban and broad acre Permaculture design projects, where it can be scaled up or down to meet the needs of the land owner or Permaculture designer. GIS can significantly shorten observation time by integrating: geospatial datasets of soils, hydrology, elevation models, solar radiation models, land cover and vegetation communities, human footprint, remotely sensed imagery, structures, and zones. 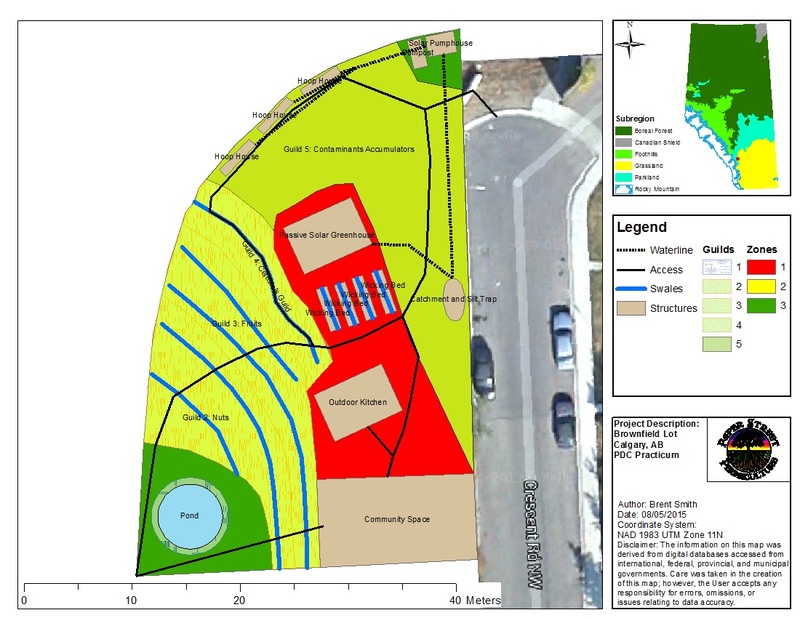 Further, GIS can reduce design time by replacing manual drawings with easy-to-edit digital designs, and by automated tools which are able to model water flow and catchment, and optimize the placement of swales and ponds. 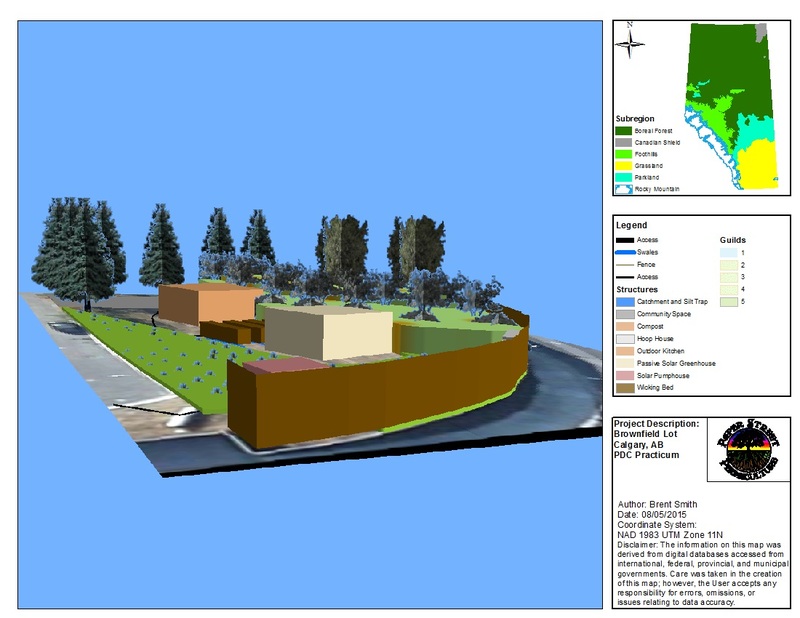 Digital designs can then be exported to Computer Assisted Design (CAD) to work with engineers and landscape architects, or exported to any number of other formats (e.g., Pdf, GeoTiff) for landowners and permaculture designers to use in their permaculture designs. Brent has been using GIS since 1998, and completed his Master’s degree in Physical Geography from the University of Calgary in 2013. He is experienced in GIS analysis, Computer Assisted Design (CAD), and geospatial modelling. Permaculture uses ecological principles to design food production systems, tailored to the climate and available resources. 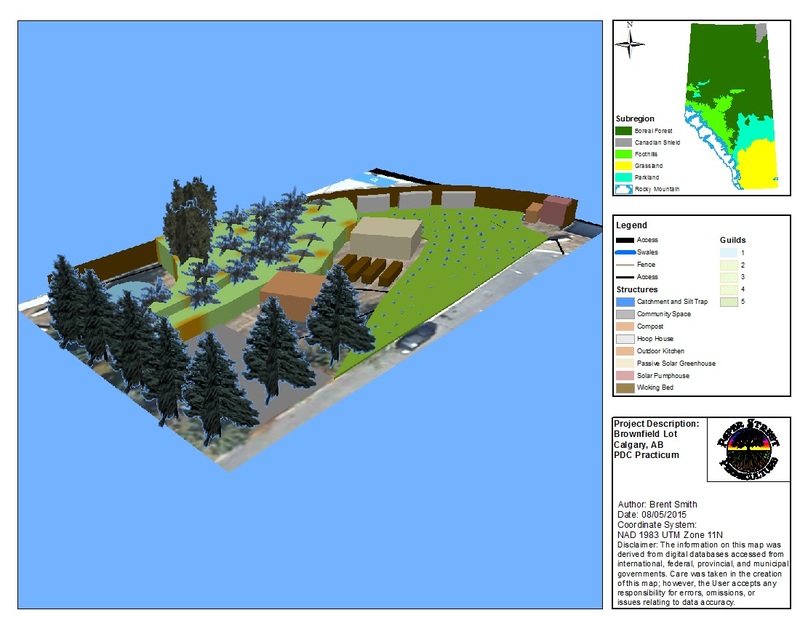 As such, GIS can be used to access and analyze a multitude of freely available data to assist with ecological design. 6. Spatial extent of the property, and footprint of existing structures. 2. Geospatial analysis for identification and recommended placement of zones and structures. Zones and structures may also be digitized based on hand-drawn sketches or photos. 12. 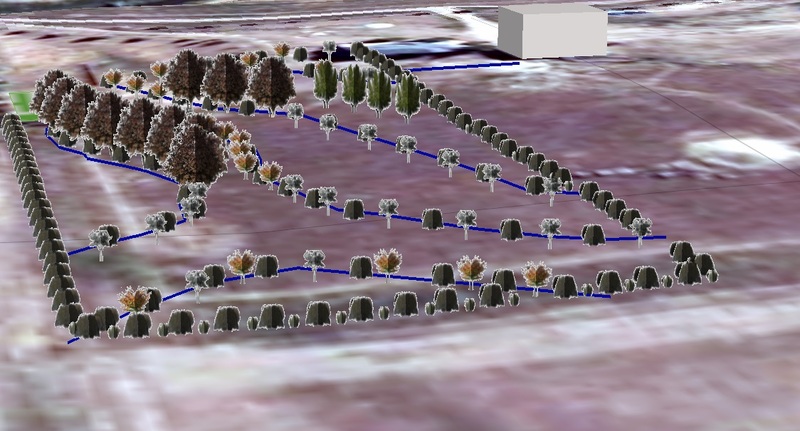 Wastewater (grey or black) management potential based on hydrogeological modelling.